Sometimes, it happens that you are a potential, maybe possible, at least plausible, young scientist. It is also the case that you have a childish passion for animals and a too adult, and rather vague, awareness about how complex could be to contribute to the noble aim of saving some of them from extinction, at least for a few generations to be. At the same time, it happens that you have to move to Helsinki, for love for example, or that you want to come back to Helsinki, so badly, or that you’re curious about what’s going on up in the north of Europe, and you just move, to Helsinki. In crucial, even though in different moments of our journeys, it happened that something caught our attention, just as the white rabbit did with Alice, in the renowned novel of Lewis Carrol. Thus, just as Alice did, we decided to follow him to Finland for an Internship at the University of Helsinki. The white rabbit, in this case, had several forms, certainly more real than a waistcoat-dressed white hare. To arouse our curiosity, we had applied conservation-oriented science, interdisciplinary approaches, and last but not least, research at an international scale. That was definitely a rabbit who deserved to be followed! Long story short, we finally, and happily, ended up at the Global Change and Conservation research group (GCC). Once landed to GCC, each of us met Mar, our group leader, who kindly introduced us to the new environment: our workspace and workmates. We discussed and arranged with Mar the best available options for our projects, fitting our different backgrounds and expectations. From the first day we could enjoy the vast internal spaces of the university: starting from our own desk to the recreational and seminar rooms where body and mind can move and organize as they feel more comfortable, which really helps reducing stress, always in ambush during long working days! We could promptly make ourselves at home and enjoy our life in the group. The new life in a research team with all those expert scientists made us feel overwhelmed at first, but soon being involved in various everyday happenings helped us become part of the team ourselves. On Fridays the group have weekly meetings and journal clubs, where we talk about news, ongoing projects and activities or we debate about the infinite list of problems of Humankind… The main two outputs of those debates usually are: a little window of hope and a really good reason to get two (or more!) beers in the evening. By the way, those were also great moments of sharing and learning. Through weekly seminars we learnt that what makes people develop valuable projects is the exchange of ideas, where opinions develop and melt together. Those networks allowed us to develop critical and broad forms of thinking and to contribute to those dialogues with our own views. Here at GCC, we had the chance to work independently, therefore we got the opportunity to develop our potential without constraints, which, honestly, made us all feel a bit disoriented, used to the more hierarchical south European supervising methods. But this is Finland, where you can easily find 6-year old kids taking the bus alone! Anyway, we felt supported by the whole group members every time we needed to solve issues of any sort. People here are really open and always keen on helping. Concluding, such an environment does not allow minds to be lazy, but we are quite sure it is worth the effort. Anyway, relax in good company is also crucial to be happy at work… and this is when team-building activities came to rescue from work and brought us outside of the office, and, to be more specific, to an escape room, where you need to find solutions to riddles and get your freedom back! Other than that, we especially enjoyed the Finnish sunshine until late in the evening that makes rather easy to fit work and leisure in a day time, so one can go cooking by the fire in the wood, cycling along the river (provided that your extremely cheap bike does not fall apart), or having a beer in the city center with friends. And to keep this list of nice things going, we can say that once you have the public transportation card you can flutter from flower to flower, or from pub to pub, easily, as metro, trams and buses take you everywhere, even at late night. What´s more, you can actually do all this independently, that is walking alone in the night without being afraid that the Queen of Hearts will cut your head… No one will harm you. This short narrative does not do whatsoever justice to the whole experience we are living. Actually, writing this down was a tough task. We are quite sure that this is not a dream, we are not Alice and this is not Wonderland (even if Finland is full of hares!). We want to end simply saying ‘thank you’ to whom allowed us to be here and to grow up, both as scientists and human beings. We met incredible people, who struggle to have a better understanding of the world, serving the society in this crucial time of changes that are going on around us. We will bring this model of doing science with us. We would like also to extend the thanks to Finland and its people for their politeness and their deep, even if discreet, respect for other people. 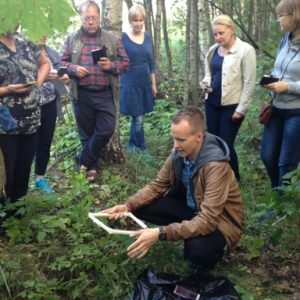 Last month we started a large-scale citizen science project (http://matoseuranta.it.helsinki.fi/) to collect data on earthworm distributions and genetic variability. Earthworms impact other animals, plant growth, and greenhouse gas emissions, but we have limited data on their current distributions across Finland and little understanding of how they will respond to climate change. 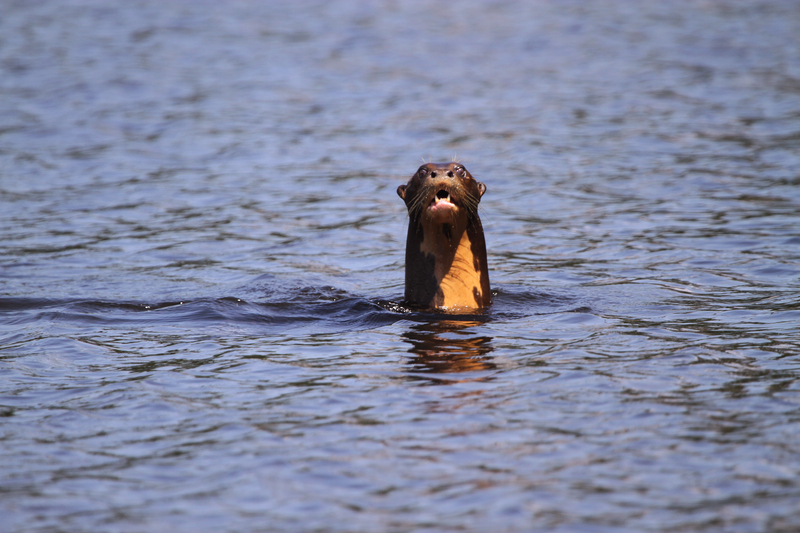 The genetic data we collect will help us to assess what species are present and how populations are related to each other. To kick-off the project, we invited local teachers to attend a sampling demonstration, while teachers from outside Helsinki watched via live-stream. Over 90 schools across the country are participating using a smartphone app and curricular materials available on our website. 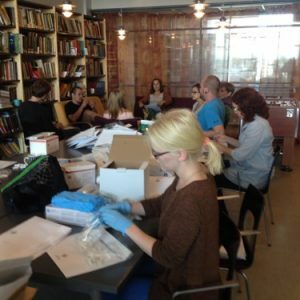 With a lot of help from GCC and members of the Metapopulation Research Centre, we sent out sampling kits to all schools, which contained mustard powder, instructions, and materials for genetic sampling. The mustard powder is used to extract earthworms from the ground – it causes them to come to the surface of the soil by irritating their skin but does not harm them. Data are now starting to be submitted! Results will be displayed on a map on our website after data has been checked and verified. 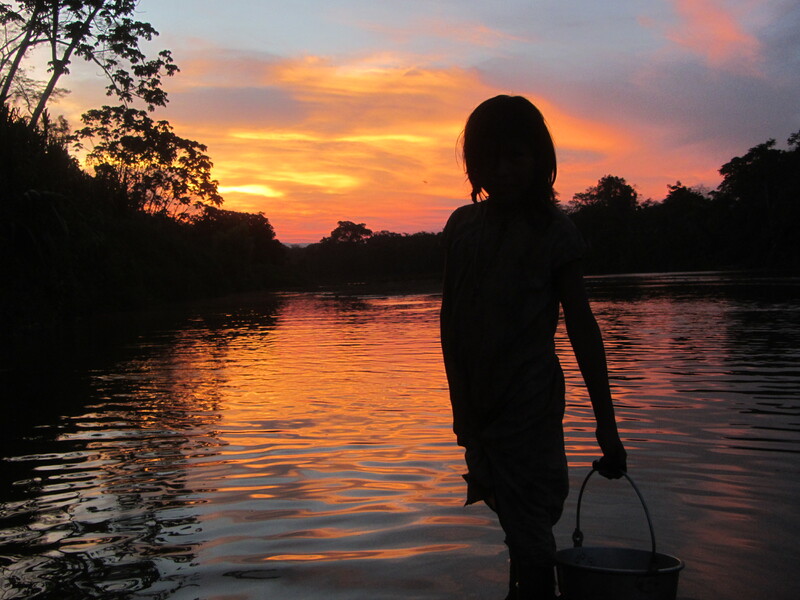 Tsimane’ kid fetching water in a river in Bolivian Amazonia. The tension between the Bolivia’s government and the country’s environmental community has reached a worrying point, with President Evo Morales threatening to expel any opposing voices to natural resource exploitation in the country. A correspondence now published in Nature highlights the pivotal work of Bolivian civil organisations in protecting the nation’s exceptional biological and cultural diversity and urges the international scientific community to keep a vigilant eye on shifts towards weaker environmental policies in the country. 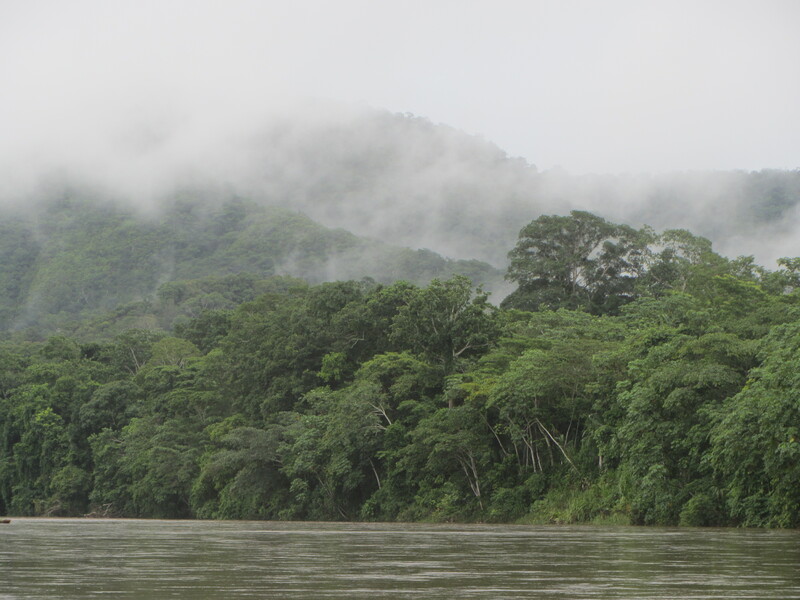 The Bolivian government has recently announced the opening of the country’s protected areas to hydrocarbon exploration and plans to construct a deeply-contested highway crossing the TIPNIS National Park, in Bolivian Amazonia. These two announcements are some of the latest along a line of incidences revealing the Bolivian government’s faltering record of policies neglecting its international environmental commitments. 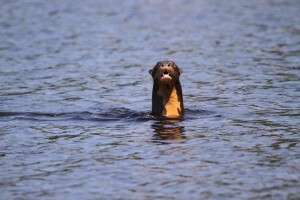 Giant Otter in an Amazonian river. Bolivia’s environmental community is no stranger to clashes with politicians surrounding land management and resource extraction, and several national and international groups, including both activists and scientists, have been voicing their opposition to these government trajectories. The scuffle has now reached a critical stage, with the recently re-elected president Evo Morales, once known as Bolivia’s foremost defender of Pachamama (‘Andean Earth Mother’), threatening to expel any NGO or foundation that attempts to obstruct natural resource exploitation in the country. These recent developments unveil gloomy prospects for the conservation of Bolivia’s unique biocultural diversity and the international environmental and scientific community is encouraged to aid in the struggle for the conservation of the country’s exceptional biological and cultural diversity. Being vegetarian and mobile pays off for bats living in tropical fragmented landscapes.